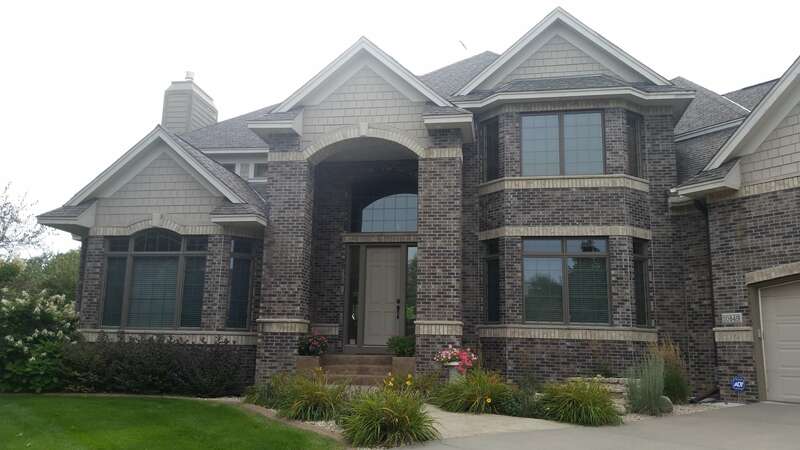 Here is a house we painted in the Lake Elmo Woodbury Area. 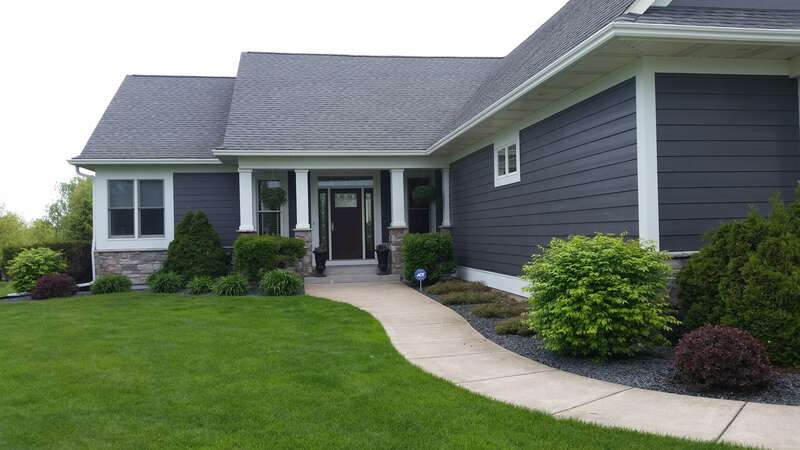 The sun, excessive moisture and cold weather are harsh on exterior surfaces. One clear instance of this is when you see a dark color begin to fade, oxidize, chalk or show lines. 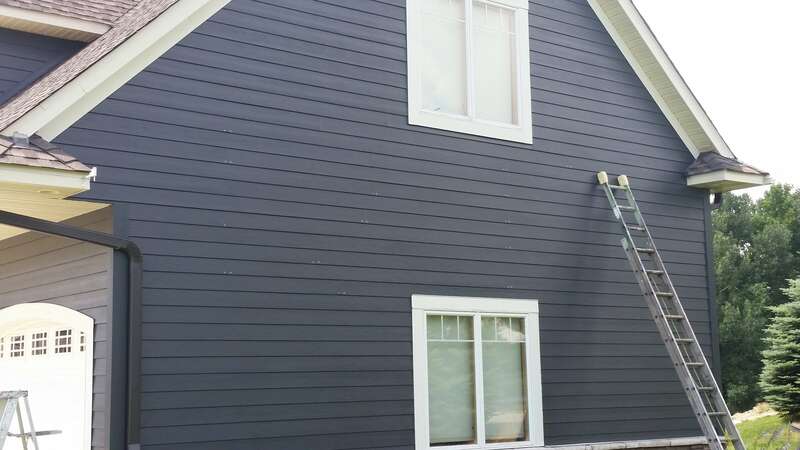 This happens because deeper base colors have more colorant in it and the colorant in paint tends to be less resistant to paint fading than the other ingredients in the typical can of exterior paint. Another reason oxidizing can occur is when the surface that is painted is reacting chemically from the underside. Two examples: When cement or cement composite surfaces help to discolor a dark paint because of efflorescence. Efflorescence is when salt comes out of cement/concrete surfaces and makes “white marks” or “chalk marks”. The 2nd example is when a galvanized metal is painted without the proper prep. 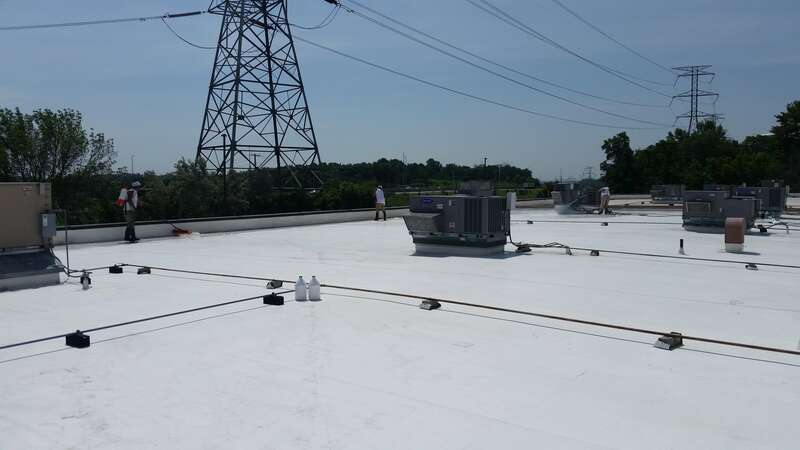 When you have an instance where you have a deep base color that is fading, you have to use the correct primer (if its an instance of a concrete composite surface) and use a top coat that resists fading. 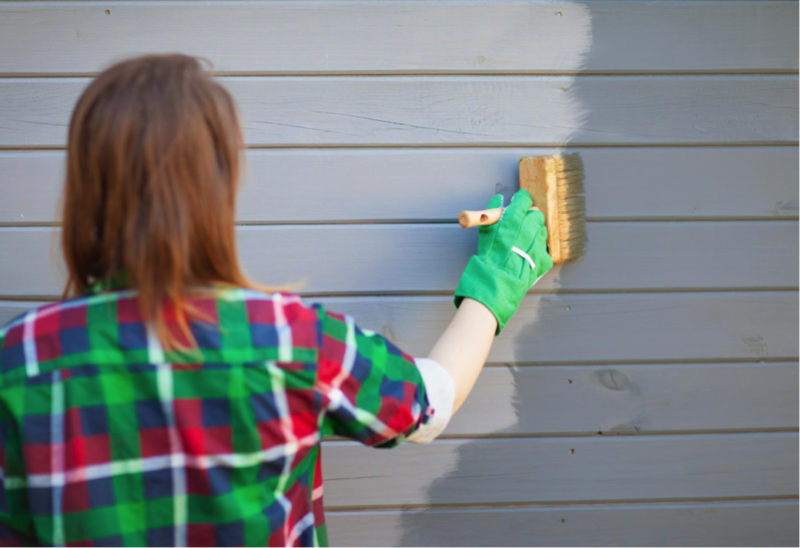 There are a few top coats that do much better against fading in deep base color, and there are primers that are made to block and adhere to cement or properly prepared galvanized surfaces. If you use the correct products and process the results should be excellent. 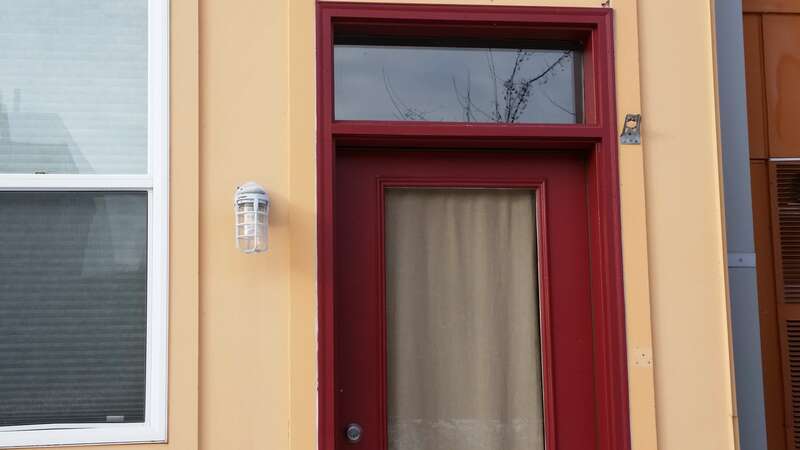 The pictures are of a job where we painted a deep red on the entry doors of some condos in St. Paul, MN. 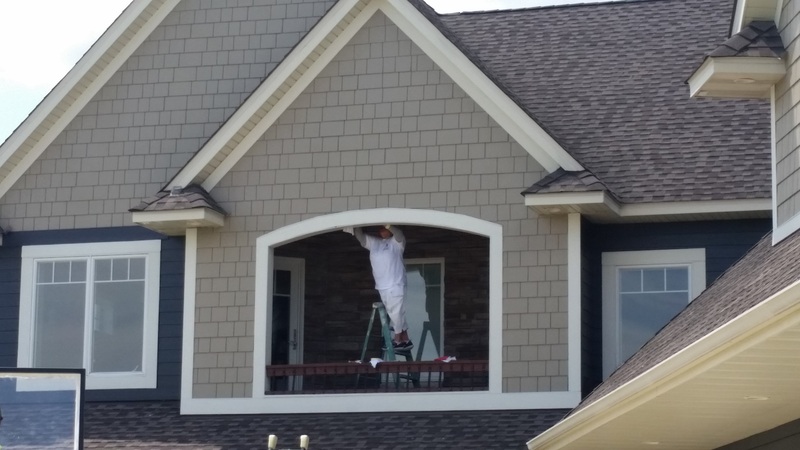 The previous paint was fading, discolored and mis-matched. 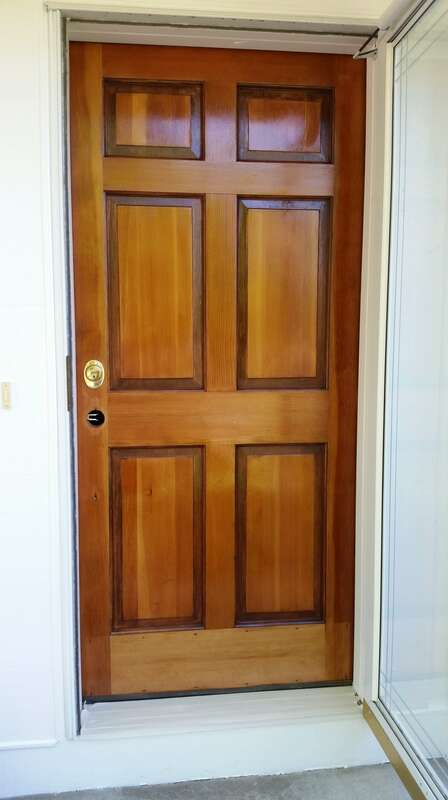 We prepped correctly and used the correct top coat to resist fading. What is a safe way to remove Graffiti without damaging the undercoat? When one of our fellow citizens runs around at night and decides to paint all over your business, home, commercial building, parking ramp, retaining wall etc etc it causes you a headache. Their is a new product that we used recently that can remove the graffiti coating and leave the under coat safe from marring, scraping or the cumbersome task of having to fully paint everything to match. There are 2 types of products available (both are lemon based out of Australia). One is for graffiti done on softer surfaces like a previously painted wall and one is for graffiti done on hard surfaces like block, retaining wall, ferrous steel.